Every day of our lives, numbers and math facts are an essential part of our lives. Introducing pre-math skills as little learners has helped my kids to more confidently advance in reaching academic benchmarks. Enriching kids learning experiences with early educational exposure is key to creating concept readiness and preparation. My littlest one has just completed Kindergarten and we are moving, actually leaping ahead to higher level mathematics, multiplication facts. We're sharing 7 ways parents can count on Times Tales for teaching basic math skills. Thank you to the team from Trigger Memory Company for the courtesy of providing promotional products for editorial content purposes. Creatively approached, the mnemonic-based program helps with memorization of upper level multiplication facts. Using the Times Tales techniques, the average learning time is approximately one hour for lesson comprehension. Times Tales incorporates engaging number stories, providing a "memory peg", for quick recall of abstract facts. These cues enable kids as young as 5-years-old to recite upper times tables before comprehensively understanding multiplication basics. Friendly competition takes learning basic skills to the next level with quizzes. Kids participate in engaging, race-the-clock activities, reinforcing newly acquired skills. Times Tales also includes bonus division problems to practice math facts. Learning elementary math facts with Times Tales will be instrumental as a teaching and reinforcing tool for all kids. Parents find the lessons to be a great activity for the entire family to enjoy. Times Tales offers kids a valuable learning experience. Providing a selection of bonus materials, there are printable games, tests, flashcards, and crossword puzzles. Successfully teaching kids of all learning abilities more effectively than other methods. 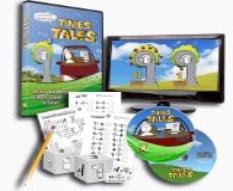 Times Tales is available for home and classroom use on DVD and instant download. 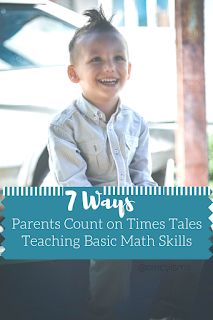 These 7 ways parents can count on the Times Tales curriculum to teach basic math skills. Leap ahead with your little learners, or reinforce math facts with older students with Times Tales from Trigger Memory and on Amazon (aff).